Strak LED All Glass Filament Clear Candlabra Bulbs 4W 400lm Dimmable CUL/UL listed ,High CRI (90). Warm White , Instant On, Mercury and Rohs complaint Construction. 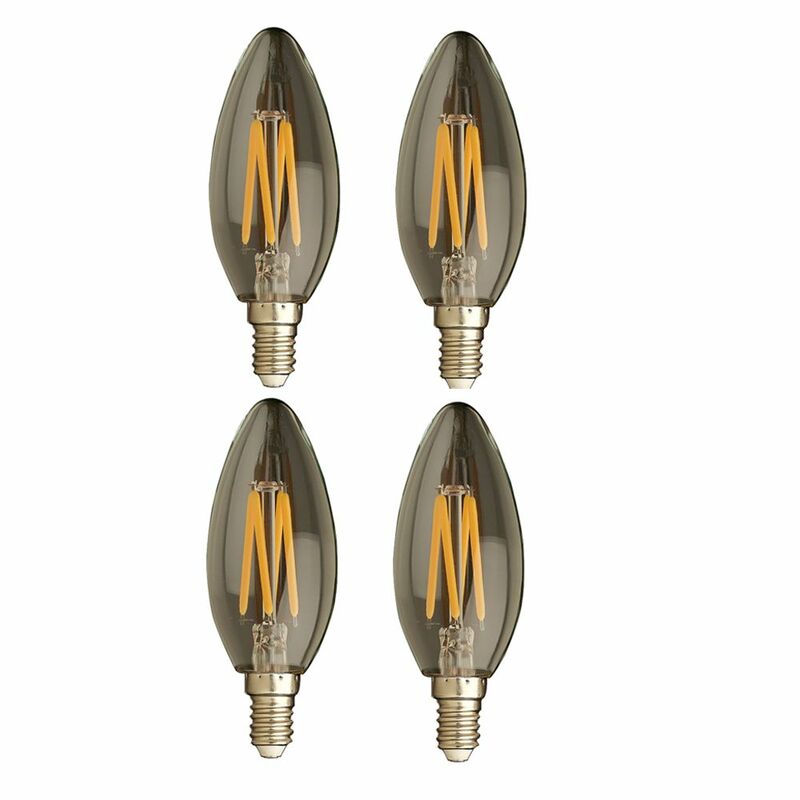 Similar sizing as regular Incandescent Candle Bulbs. Exactly 1 to 1 ratio for replacement. 80-90% Consumption savings. 50,000 Hours and 5 years Warranty. Strak LED All Glass Filament Clear A19 Bulbs 360 Degrees 7W 500lm Dimmable ENERGY STAR CUL/UL listed ,High CRI (90). Warm White , Instant On, Mercury and Rohs complaint Construction. Similar sizing as regular Incandescent A19 Bulbs. Exactly 1 to 1 ratio for replacement. 80-90% Consumption savings. 50,000 Hours and 5 years Warranty. Strak LED Candle E12 LED Bulbs 4W 400lm Dimmable ES CUL/UL listed ,High CRI (90). Vintage Warm (2200K) , Instant On, Mercury and Rohs complaint Construction. Similar sizing as regular Candle Incandescent Bulbs. Exactly 1 to 1 ratio for replacement. 80-90% Consumption savings. 50,000 Hours and 5 years Warranty. Strak LED Candle E12 LED Bulbs 6W 600lm Dimmable ES CUL/UL listed ,High CRI (90). Vintage , Instant On, Mercury and Rohs complaint Construction. Similar sizing as regular Candle Incandescent Bulbs. Exactly 1 to 1 ratio for replacement. 80-90% Consumption savings. 50,000 Hours and 5 years Warranty. Strak LED B10 LED Bulb E12 4000K 40W Equivalent 4W 400lm Dimmable CUL/UL listed ,High CRI (90). Neutral White , Instant On, Mercury and Rohs complaint Construction. Similar sizing as regular B10 incandescent Bulbs. Exactly 1 to 1 ratio for replacement. 80-90% Consumption savings. 50,000 Hours and 5 years Warranty. LED Filament Clear Candlelabra 2700K 40W E12 CRI90 ES Dimmable- Pack of 4 - ENERGY STAR® Strak LED All Glass Filament Clear Candlabra Bulbs 4W 400lm Dimmable CUL/UL listed ,High CRI (90). Warm White , Instant On, Mercury and Rohs complaint Construction. Similar sizing as regular Incandescent Candle Bulbs. Exactly 1 to 1 ratio for replacement. 80-90% Consumption savings. 50,000 Hours and 5 years Warranty. LED Filament Clear Candlelabra 2700K 40W E12 CRI90 ES Dimmable- Pack of 4 - ENERGY STAR® is rated 5.0 out of 5 by 1. Rated 5 out of 5 by Lorne from Very close to regular Incandlescent bulbs Great lights & dimmable. I purchased about 200 of them for a dining room at a Golf club & nice lighting colour. A little brighter than the old Incandescent.